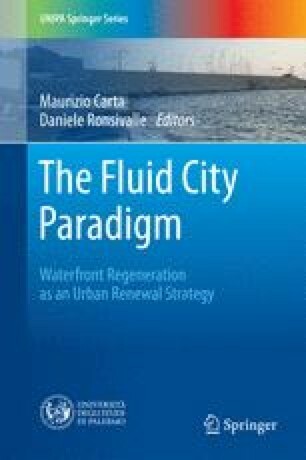 This chapter defines in what way the seaside and the waterfront can be place of conflicts among infrastructures, production, unplanned urbanisation, bathing tourism and many other activities. The last section of the chapter describes synthetically the study case of Saint-Nazare Submarine base and the terms of regeneration of a typically place of conflict, like a military area connected with the waterfront. Finn, G., Andi, G. (2007). Transformation de la base sous-marine Saint-Nazaire. http://www.pavillon-arsenal.com/img/conference/202/cp/PAV_202_CP.pdf. Accessed 25 June 2015.